This lovely family from Sweden contacted me to document their vow renewal. Madeleine and Fredrik got married 12 years ago and thought it was time to renew their vows. This time their two children where witnessing this romantic and beautiful moment in their lives. Madeleine wore her actual wedding dress from years ago. Well done girl!! 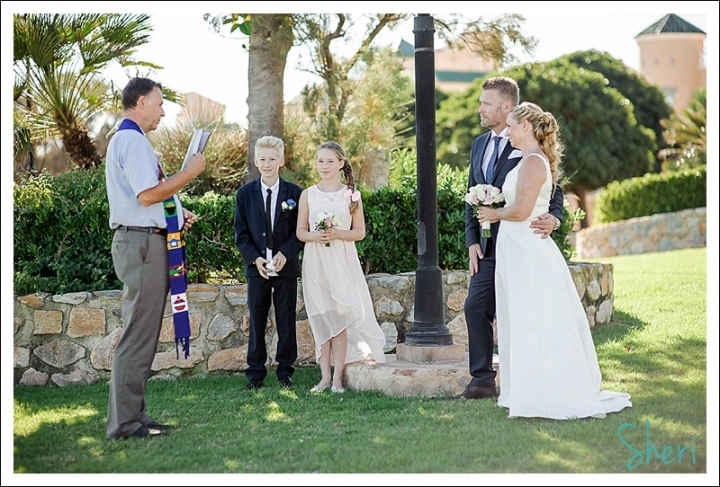 The ceremony took place at Torre del Moro and was conducted by a Swedish priest of the Swedish church in Torrevieja. After the ceremony the children had a little photoshoot and afterwards the happy couple. Have a look below to view their images. All the best Lindeberg family!